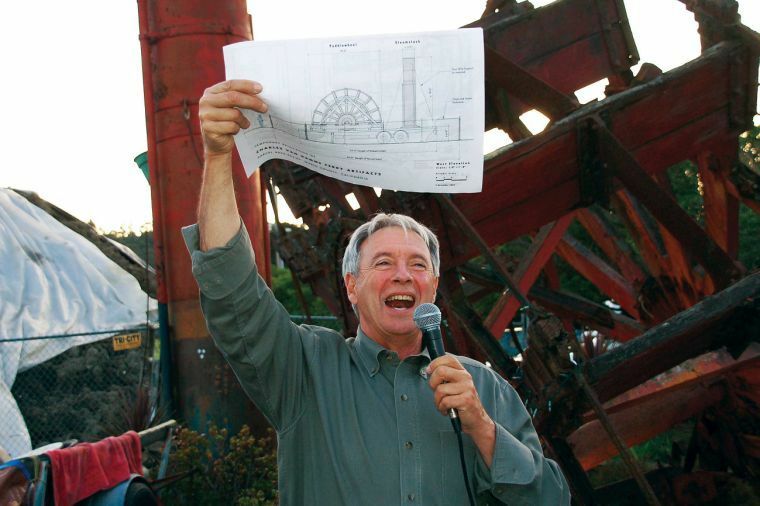 The county has signed off on a Sausalito project to create a park exhibit honoring the ferry boat Charles Van Damme and its colorful history — which included ferry service, a movie set as well as a nightclub where the likes of Janis Joplin and Jerry Garcia hung out. The county’s Community Development Agency gave its approval to the project earlier this month and those behind the plan will next have to go before the San Francisco Bay Conservation and Development Commission for its blessing. Perhaps more daunting is the need to raise as much as $500,000 to see the project through. 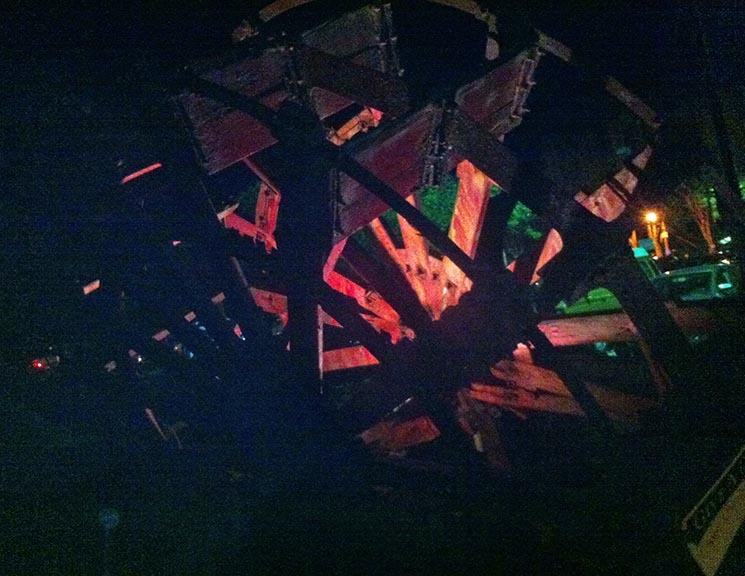 The group already raised the money needed to move the Van Damme’s now 100-year-old paddle wheel and steam stack from the Waldo Point Harbor to a boatyard three years ago. 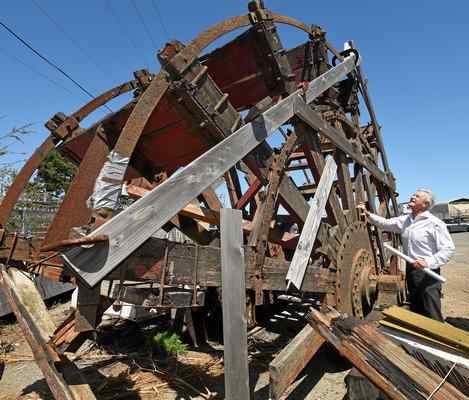 Plans call for the parts to be brought back to a planned Waldo Point park at Bridgeway and Gate 6 Road as an interpretive exhibit outlining the Van Damme’s story and its significance as a piece of Marin’s maritime and cultural history. Built in 1916, the Van Damme, named after its original investor, was a sidewheel ferry that was the first to carry cars, cattle and people between Richmond and San Rafael — and an occasional prisoner was carried over to San Quentin as well. 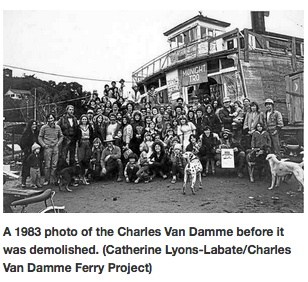 The Van Damme’s service as a ferry came to an end 40 years after it began, but the boat took on a whole new life when it landed just north of Sausalito. In 1960, four years after it was decommissioned, it was towed to Sausalito’s Gate 6 — the heart of the houseboat community — by Don Arques, a member of a prominent property-owning family on the waterfront. The Van Damme’s first incarnation in Sausalito was as Juanita’s Galley, an oddball restaurant run by local legend Juanita Musson. She let her pet birds and exotic animals mingle with her customers, among them local celebrities such as former madam and Sausalito mayor Sally Stanford, actor Sterling Hayden and San Francisco columnist Herb Caen. Aesthetically interesting in its new location, Hollywood called and the ferry made an appearance in the 1965 movie “Dear Brigette,” with Jimmy Stewart, Fabian and Brigette Bardot. In its counterculture heyday in the 1960s and 1970s, the Van Damme became a haven for rock stars, actors and artists. As a plush after-hours club called the Ark, it was a hangout for some of the biggest rock musicians of the 1960s. Carlos Santana, Janis Joplin, Quicksilver Messenger Service, Jerry Garcia, Steve Miller, Otis Redding, David Crosby, Bob Dylan and Moby Grape all played at the Ark. By the time the ferry was condemned as a health and fire hazard by the county in the early 1980s, various plans were floated to turn it into a library, a community center and a youth hostel, but they all fell through. The $300,000 it would have taken to bring the old paddle-wheeler up to code was nowhere to be found and the Van Damme’s days were numbered, but it did not go quietly. 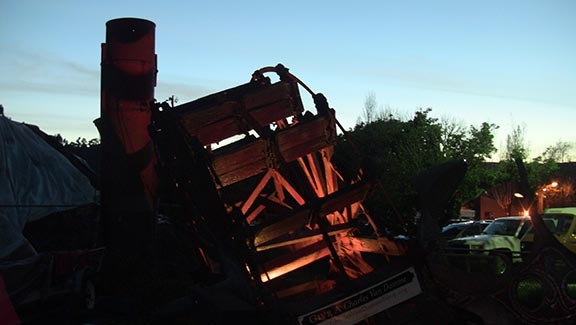 On a Tuesday in March 1983, protesters lay down in front of bulldozers and climbed on top of the ferry’s steam stack. Thirteen people were arrested, but they couldn’t stop the inevitable. By the end of the day the Van Damme was gone, but the paddle wheel and steam stack remained. The Charles Van Damme ferry is on the move, or at least parts of it is; the steam stack and paddlewheel have been lifted and relocated and are being readied for the next phase of the project. 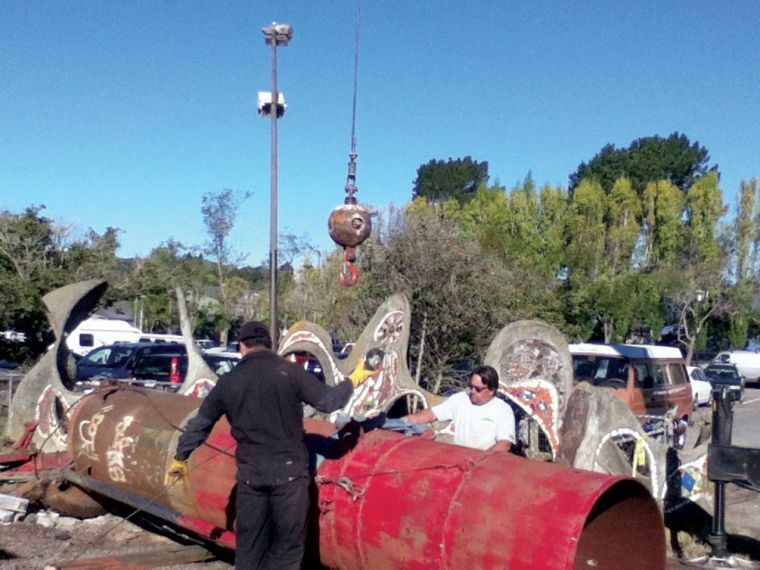 The artifacts were moved from Waldo Point Harbor on Thursday, Sept. 26 completing the “save” phase of the project, according to Dona Schweiger, co founder of the Charles Van Damme Ferry Project, an effort aimed at saving the historic ferry boat. 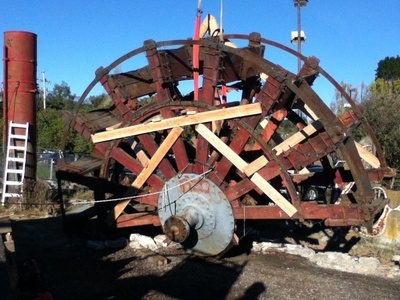 The next phase is the restoration portion of the project with the hope of returning the artifacts to the park in time for the ferry’s 100th birthday in 2016. Petaluma resident Chris Clarke remembered seeing the ferry in Sausalito while growing up in Mill Valley. 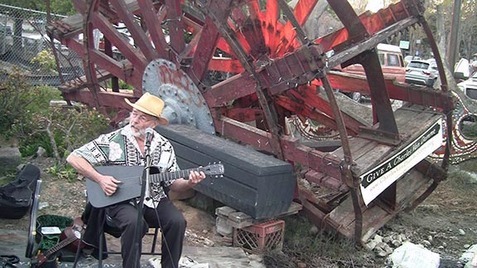 Clarke’s grandfather, Raymond Clarke, had the Van Damme built for the Richmond-San Rafael Ferry Company. Charles Van Damme was a prominent businessman at the time and was related to Raymond Clarke by marriage, Clarke said earlier this year. 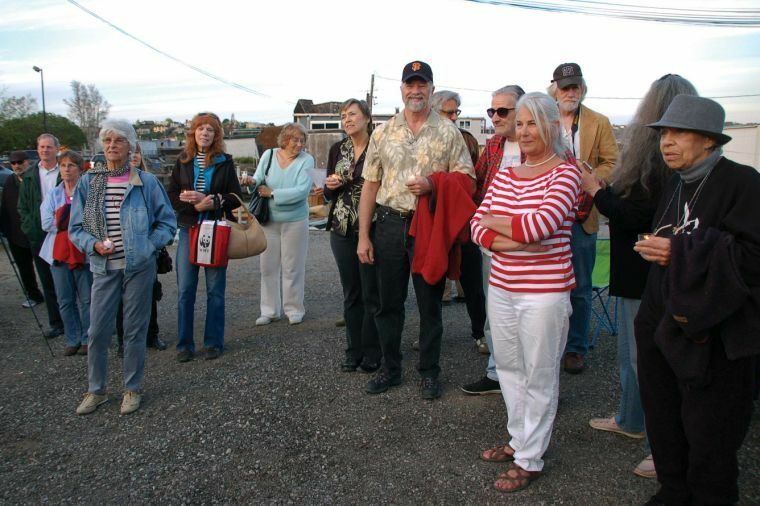 Judyth Greenburgh, another co-founder of the ferry project, once lived on a nearby dock along with many old-time Sausalito houseboat community members who would tell stories about the Van Damme. 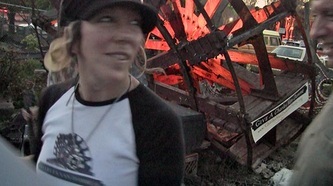 She said the community’s history needs to be preserved. “Everything is becoming homogenized. For me, the Van Damme is a symbol of a different way of life,” Greenburgh said. For more information about the Charles Van Damme Ferry Project visit charlesvandammeferry.org. 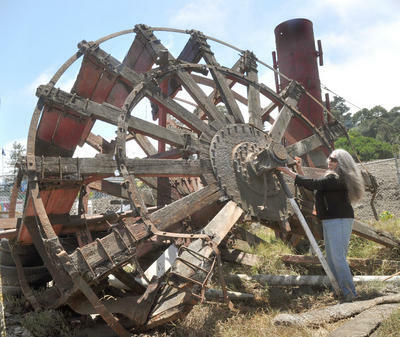 THE DAYS OF Marin's most famous paddle wheel may be numbered as a deadline looms to move the remaining parts of the well-known ferryboat the Charles Van Damme, which rests along the bay's shore near Sausalito. Thank you Victoria from the Sausalito Wooden Boat Tour for creating the float and for Joe and Maggie plus others for performing and participating. Thanks for all who came to commemorate 30yrs since the ferry was torn down at the candle light vigil. There was a good turnout for such a last minute affair! I think The Charles Van Damme was well represented and it shows how much she is still loved. Thanks to Tom Barron for reminding us of this momentous date. Michael Rex for the RBMA's continued support, Joe Tate for performing, Chris Clarke for representing the family of Ray Clarke the creator of the ferry. Victoria Colella for all her passion and of course Dona the co founder of this project who's integrity I couldn't do without. There are many others to thank - without support this project cannot succeed, We are in the critical life or death stages of saving the Paddle wheel and steam stack - so- like a paddle wheel turning we must keep the momentum going.. 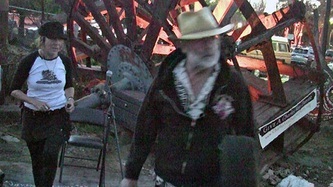 Links to other articles about the Charles Van Damme.